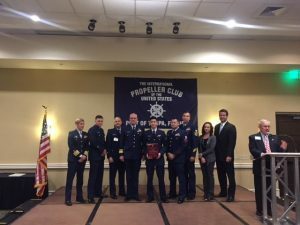 On January 26, 2017, the Tampa Bay Council of the Navy League was proud to support and sponsor the salute to the Coast Guard event with the Tampa Propeller Club. 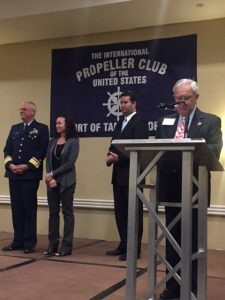 This is a long-time partnership and friendship between your Tampa Bay Navy League and the Propeller club and we were happy to be able to support the Propeller Club again this year. This annual event honors the great service of our local Coast Guard Stations and recognize their heroic efforts. We were able to watch a video of what they do day in and day out in our area and it is impressive! 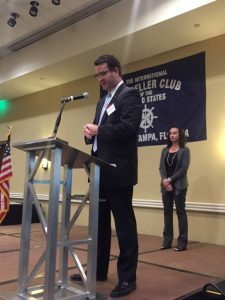 The donations you make to the Tampa Bay Chapter of the Navy League ensure that we can continue to provide financial support to these type of events. Thank you for what you do to support our missions.